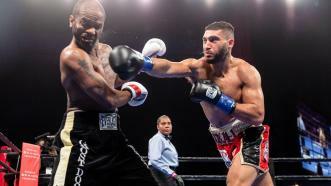 Ahmed Elbiali (18-1, 15 KOs) defeated 16-year veteran Allan Green (33-6, 22 KOs) of Tulsa, OK, by knocking Green down in every round. Finally, it was a right uppercut followed by an overhand right that sent Green to the canvas as Elbiali scored a knockout at 1:16 of round three. 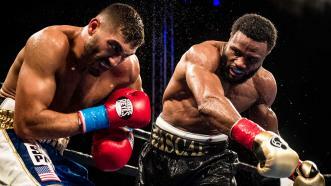 Veteran Jean Pascal took to the ring for the final time to face tough light heavyweight contender Ahmed Elbiali on December 8, 2017. 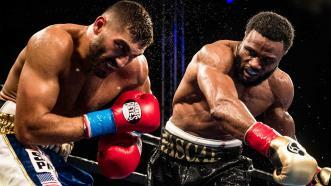 On this episode of PBC Jabs, we check in with unbeaten light heavyweight contender Ahmed Elbiali and we preview our stacked December 8th FS1 show. 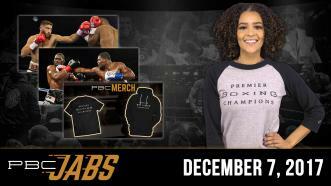 Plus, PBC merchandise is now available! 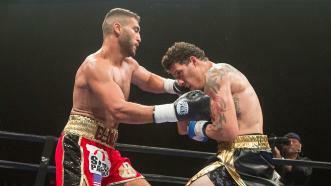 Ahmed Elbiali gained a second-round TKO of Christopher Brooker in a 175-pound bout. 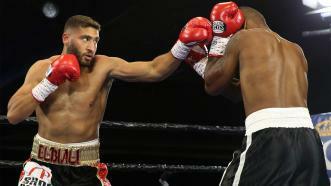 Unbeaten prospect Ahmed Elbiali gained a first-round TKO of Jackson Junior in a 177-pound bout.